If I could choose a superpower it would almost certainly be the ability to see into the future. Just think of the possibilities if you could accurately predict the future. You’d never have to worry about money because you could just invest in guaranteed winners. You wouldn’t die of some Final Destination freak accident because you could see the bouncing runaway wheel that flew off a semi truck coming before it was too late. You could probably even take the correct countermeasures to stave off disease by knowing exactly what to intervene against. It’s probably a little too much to ask for that kind of ability to predict the future, but I do think there’s a way to gain a little bit of a superpower. When a baseball player swings at a baseball, they’re not reacting to the ball, they’re predicting where it’s going to be. It takes about 400 milliseconds for a baseball to travel from the pitcher’s hand to the catcher’s glove and human reaction time is pretty well fixed at 200 to 300 milliseconds, with studies showing that elite baseball players aren’t any quicker at reacting. That means they’re already having to decide when and how to swing when the ball has barely left the mound. In a less quantified example, every time you load up your plate for a meal, you are making a prediction based on how hungry you are that you’ll choose the right amount of food and leave satisfied. Why does that matter, though? Let’s take the 5 or 10 pounds example a little further. I’ll argue that you gain more from a success adding 5 pounds than a failure adding 10. Here’s why: If you fail at adding 10, it’s probably too late to go back and only add 5. Now you don’t know if you can do 10 more, and you also don’t know if you can do 5 more. You have, in a sense, learned next to nothing from the experience. 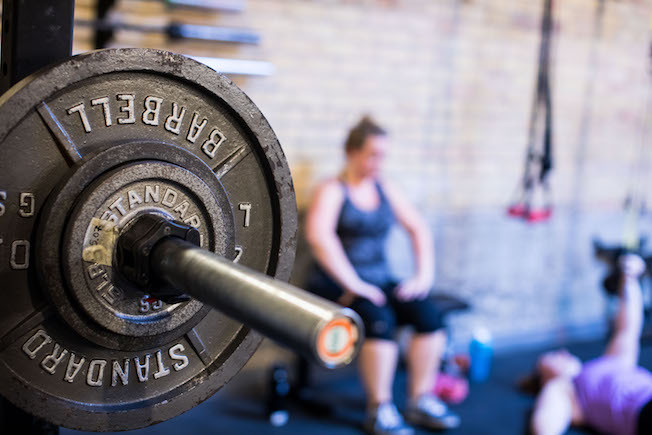 Sure your body has experienced a stressor which it will adapt to, but we know that failing reps increases risk of injury and teaches you to fail. Not great. Whereas a success at adding 5 not only informs your intuition that you could definitely add 5 but it also gives you a hint as to how it felt whether or not you could add 7.5 or even 10. Getting better at predicting translates directly to getting better at winning instead of losing. If we want to get better at getting better then it pays off in spades to be able to predict when you’re not getting better any more and stop doing reps that are just going to make you worse, or practice getting worse. Better is better. I predict I’ll slay my squats today. 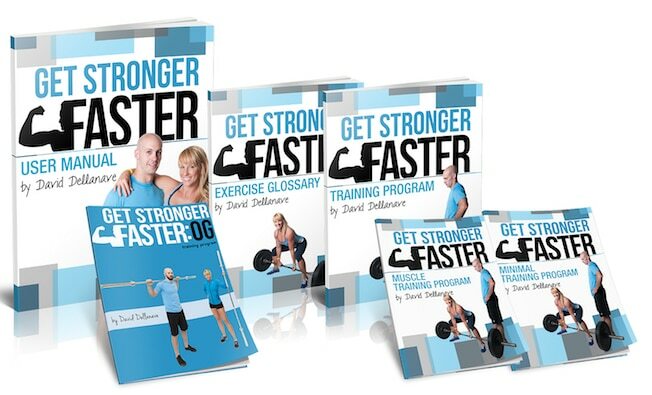 Do you want to Get Stronger Faster? I tapped my husband and writer of this blog post, David Dellanave, owner of The Movement Minneapolis and deadlift-world-record holder, to write a program that would do just that. Those who picked up Get Stronger Faster have NOT been disappointed. Build muscle, especially in the glutes, back, and delts. Build a seemingly endless fountain of energy. Burn more fat in everything you do, because muscle is metabolically active, that includes when you’re doing nothing at all! It’s not only possible…it’s guaranteed. Get Stronger Faster now!